OCEACT provides new and existing ACT teams with knowledge, tools, and supports designed to enhance the effectiveness of ACT programs. OCEACT can help an ACT team develop an individualized implementation or development plan that identifies specific training and resources that the team needs. OCEACT provides training on topics such as: key components of the ACT model, program start-up, recovery and the strengths-based approach, strategies to measure ACT participant outcomes, peer delivered services, and integration of other evidence based practices, including: IPS Supported Employment, Illness Management and Recovery, Integrated Dual Disorder Treatment, and Enhanced Illness Management and Recovery. We are committed to creating a learning collaborative of ACT providers, policy makers, community mental health providers, and other key stakeholders. Together we hope to build a network of supports and expertise to develop and deliver exemplary ACT services that meet the needs of consumers, families, and communities across Oregon. OCEACT offers a technical assistance call on the second Tuesday of every month at 10 a.m. and 3 p.m. Learn more! 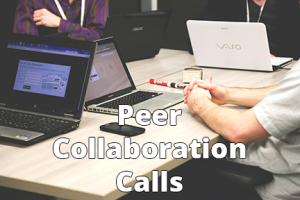 OCEACT hosts a collaboration call for ACT peer specialists on the second Monday of every month at 11 a.m. Learn more!